Madison Beer Enjoys Fun in the Sun Ahead of Thanksgiving! | Bikini, Madison Beer | Just Jared Jr.
Madison Beer seems to be having a great time in Miami with her family for Thanksgiving! The 19-year-old pop star was spotted with her family at the beach while enjoying some fun in the sun on Wednesday (November 21) in Miami, Fla.
Madison took to her Instagram Story to share all of the things she’s thankful for this year. Madison also listed many other things she’s thankful for, including her fans, her dog, and music. 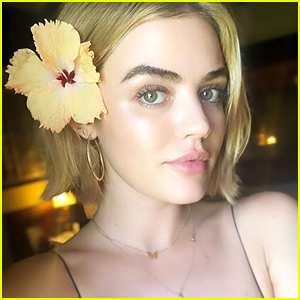 Lucy Hale Starts Filming 'Fantasy Island' in Fiji!